Black Paper with white ink. This one was a printing tour-de-force, printing the positive and negative versions of the design on toothy flat black paper. 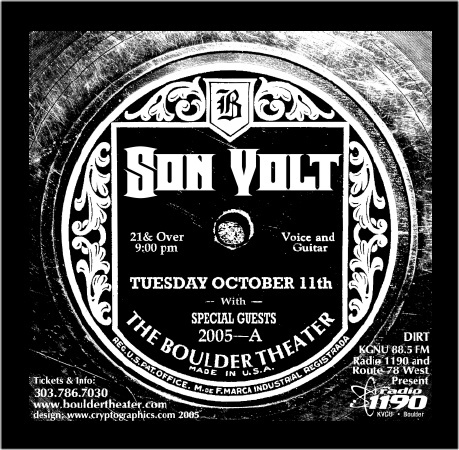 The design seemed logical for Son Volt's music, being based off of an old 78 rpm record label in the collection. The return of the band with their best release to date, "Okemah and the Melody of Riot" was a good thing to see. Sometimes artists do their best work later in life. It's not all a flash of youth!